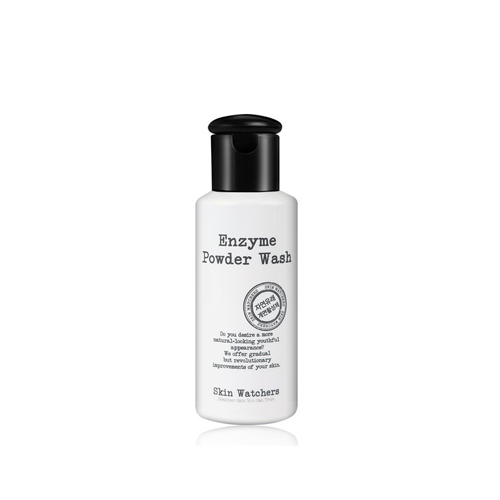 PH 5.5 acid balanced cleanser which responses to 36.5 degrees of the skin temperature. It contains corn starch instead of chemical compositions and two patented ingredients. 7 kinds of Ingredients of the herb are very mild. You can use this product every day. Enzyme element of papaya and AHA in an extract of citrus grandis exfoliate dead skin cells. Put 2g of powder on the palm and mix with water to make bubbles. After massaging with bubble, wash the face clean. If you want to remove makeup, repeat this process after first cleanse. Put some water in a bowl and stir with a brush to make the bubble. Spread all over face, except the eyes and mouth. Apply once more bubble to parts of sebaceous glands and 2~3min later, wash the face clean with warm water. Do not mix with cold water and use with warm water similar to skin temperature.